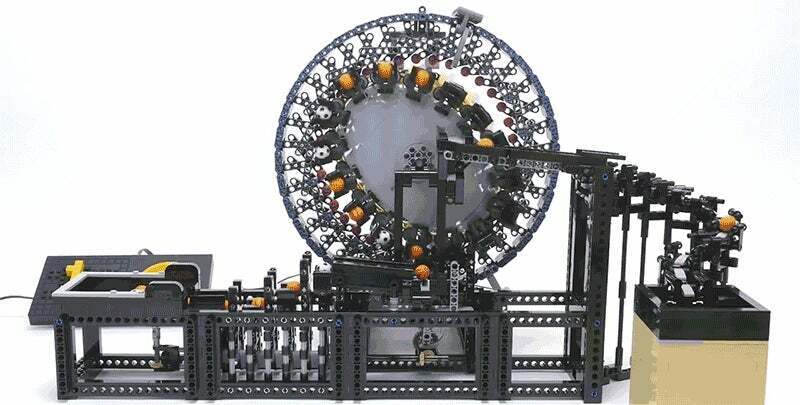 Video: The wobbly gear on Japanese LEGO genius Akiyuky's latest Great Ball Contraption might be the most hypnotic piece of engineering you've ever laid eyes on. It appears to be moving in seven different directions all at the same time, and although the machine doesn't really do much, there's still a plethora of moving parts to just sit and stare at. Many LEGO enthusiasts use the classic building toy to create miniature replicas of everything from working coffee makers to RC planes that really fly. But Great Ball Contraption builders have only one goal in mind: To build as complex a machine as possible that does nothing but move small plastic balls along. It seems pointless, until you find yourself watching countless videos of these machines in action for hours on end.